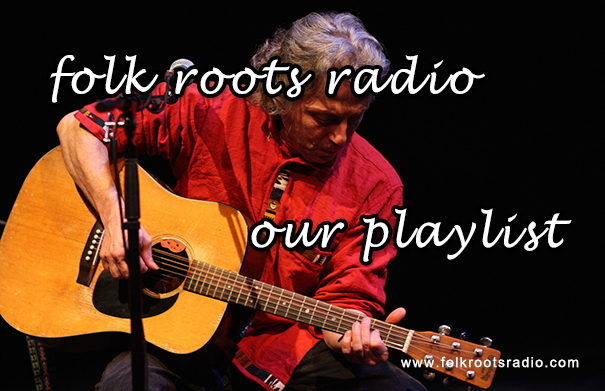 We’re giving Episode 260 of Folk Roots Radio over to the Youth Program at the 2015 Folk Music Ontario (FMO) Conference. The program is open to residents of Ontario and the National Capital Region, between ages 15 and 21, who are chosen for their interest, ability and experience. 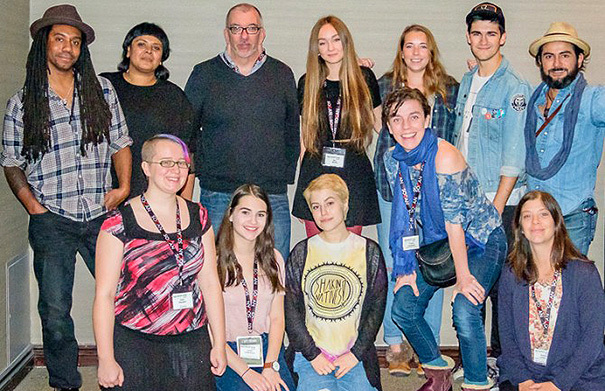 The selected youth members are paired with experienced mentors from the Ontario folk music community for the duration of the weekend conference, while developing a showcase performance and participating in professional development activities. This documentary features commentary and musical contributions from programme coordinator Treasa Levasseur; Mentors: Quique Escamilla, Rosina Kazi, Amélie Lefebvre, James Keelaghan and Julian Taylor and Youth: Sydney Delong, Jillian Kerr, Mira Meikle, Braden Phelan and Joelle Villeneuve. For more information about the Folk Music Ontario Youth Program visit folkmusicontario.ca. Photo credit: Mike Bourgeault. Music: Treasa Levasseur “Feel Good Time” from “Broad” (2011, Self), Amélie & Les Singes Bleus “La Rua Madureira” from “À l’étage des funambules” (Self, 2012), Joelle Villeneuve “En vert” (Demo), Quique Escamilla “Nuevo Dia, Hombre Libre” from “500 Years of Night” (2014, Lulaworld Records), Braden Phelan “With You” (with Vale Abbott) from “379 Evert Street” (2015, Self), Lal “Stand In My Way” from “Find Safety” (2016, Coax Records), Mira Meikle “Coming Home” from “Mira” (2015, Self), Julian Taylor Band “Just A Little Bit” from “Desert Star EP” (2015, Aporia Records), Sydney Delong “Cruel, Adore” from “My Vow To You EP” (2014, Self), James Keelaghan “Glory Bound” from “History: The First 25 Years” (2013, Borealis Records) and Jillian Kerr “Cold Winter” from “Dreams” (2015, Self). St Catherine’s born Darren Eedens plays both flat-picking banjo and guitar at such a frenetic pace that you can’t help but sit up and pay attention whenever he starts to play. His nasal percussive vocal delivery makes you think that you’ve stepped into some honky tonk saloon from a bygone era. Known as the Canadian Dirty Little Picker in Europe, Darren now calls Cardiff Wales, home. 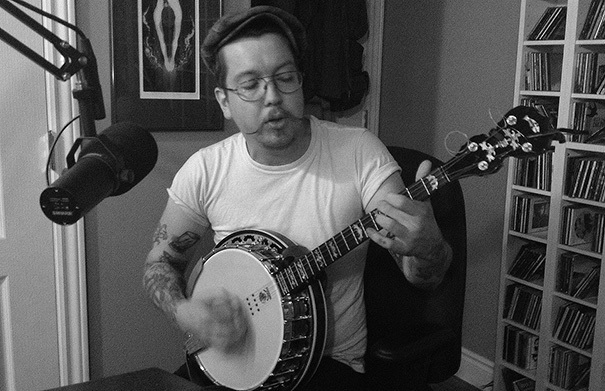 He joined us in the studio straight after a rousing and rambunctious performance at the 2015 Hillside Festival to chat about his latest album “Of My Word” (2014, Self) and play a few tunes live. For more information, visit darreneedens.bandcamp.com. Music: Darren Eedens “Oh Darlin” from “Of My Word” (2014, Self), “Mountain Dew” (Live), “On The Line (The Laundry Song)” (Live), “Rye Whiskey” (Live) and Darren Eedens “Movin’ On” from “Of My Word” (2014, Self). 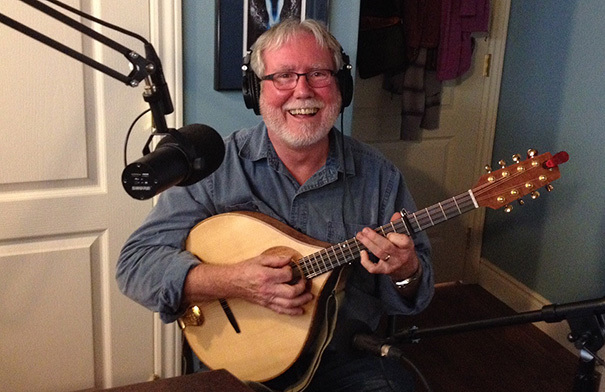 Bob MacLean is a celtic guitarist and folk singer with roots in Cape Breton and Quebec. He’s been playing guitar for as long as he can remember, and his passion for the instrument has only grown over the years. Bob plays solo guitar and also performs as part of a duo McCairley and MacLean with fiddler Fiona McCairley. Bob joined us in the studio at the farm in Hillsburgh last fall for a fabulous conversation about his music and a few live tunes. For more information about Bob’s music visit bobmaclean.ca. Music: Bob MacLean “Songbird” (Live), “Sweetness of Mary” (Live), “Permission to Dream” (Live), “Red-haired Boy” (Live), “Pipe on the Hob/Out on the Ocean” (Live), “Jack the Sailor” (Live), “Rose of Allendale” from “Permission to Dream” (2002, Self). Singer-songwriter and former member of Tamarack, James Gordon joins us on this episode to chat about “Sunny Jim”, his forty-something album over all, and seventh on Borealis Records. 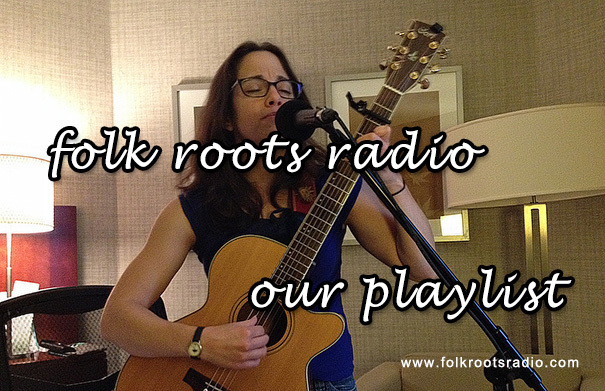 As always, we find time to include tracks from some of the fine new releases we’ve received.